Smart marketers are known for always: People rely on emotions rather than information to make brand decisions – Emotional reactions tend to have more impact on the desire to purchase personally than content. 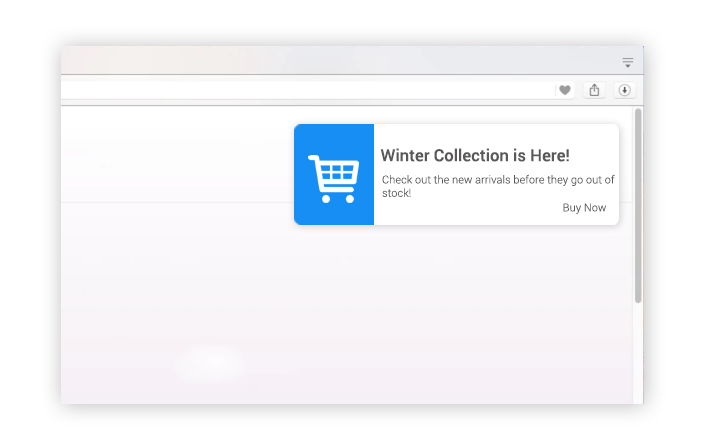 Here we have listed top collection of push notifications templates and examples for an e-commerce website that you can use for e-commerce store or website to drive more sales and traffic. This information template is not ready for use but has been compiled for inspiration. When you understand these concepts and relate them to your business and change them to you, you will be most successful. Buyers want to know when the product can be purchased on their wish. This can be the latest work of an author, the work they have bought before, or the latest collection of fashion brands they have been browsing for the past few weeks. First of all, e-commerce sites can create segments between customers based on past purchases and live events. The next step is to send push notifications to these segments directly to users for new related products. Adding a rebate with the due date can also be useful for users. We have already discussed abandoned carts. The user visits the website, adds the product to the shopping cart and leaves without purchasing. 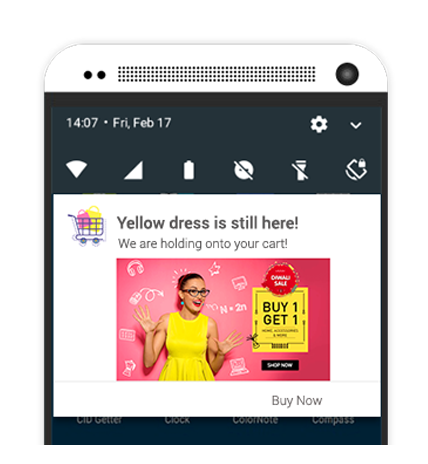 One of the most effective ways to resist the abandonment of a shopping cart is to send a push notification within a limited time frame. 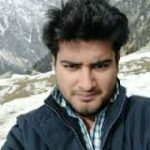 Usually, the customer compares the product price on the site. They add the product to the shopping cart to check the shipping cost or whether they can apply for a coupon. You can easily convert them by using web push messages. There is another reason for cart abandonment distracts the customer at the time of purchase. Since adding an item to your shopping cart shows a desire to purchase, a timely reminder of the item in your shopping cart may result in a conversion. In addition, Use the shopping cart abandon statistics, you can clearly decide why you abandoned your shopping cart and how to recover your customer to recover your lost income. This may include free shipping or additional discounts in certain areas. Hard sales are in terms of mortality. Pull the push messages is art, it is better to use a nice batch, not a strong boost! Replace the normal message with a message that gently drives the user, and you’ll find yourself learning the concept of time marketing. Help them step by step to improve their courage and morale. Customers often add products to their wish list and later plan to buy them. If the price of the product falls, you can easily call them back with automatic notifications. Another reason customers can rebound from the store is that the products they want are not available. Here, the push notifications can help in the conversion if the product is redone. In this way, customers can remodel them to buy those products which they have indicated to be interested in buying. 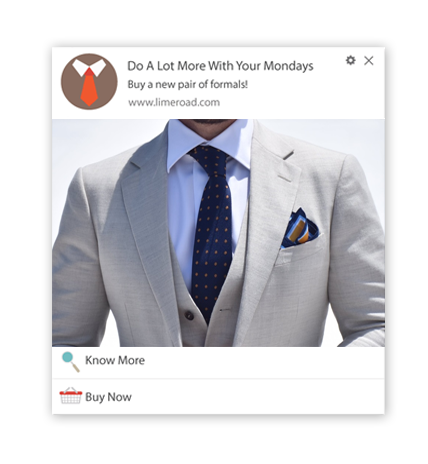 The push notifications are not used in the promotional message, but it can also send you new messages to your customers. These are informational information that helps consumers keep track of the products they have undergone and make a satisfying experience. Once purchased, the big step will help to increase the loyalty and increase in confidence in the brand. That’s right! I hope that you understand the different of push notifications that can be sent to an e-commerce site. Of course, this is not a list of amazing things. Increase the use of events such as the use of website tools in the e-commerce space. Note: You can send personalized push notifications for different user segments. Signup now to get personalization Templates for cart abandonment.